I have listed a new property at 8332 158 AVE in Edmonton. Welcome to this beautiful home in Belle Rive. Loaded with upgrades including a completely renovated kitchen with maple kitchen cabinets, matching stainless steel LG appliances (including microwave hood fan and dual-oven range), granite countertops, under-mount double sink. New bathroom bathtubs, tile/tub surround, vanities w/marble countertop. South-facing bay window in the living room to let in plenty of light. Downstairs is a spacious family room with wood-burning fireplace. New vinyl plank flooring throughout the main floor. Outside, the yard is fully fenced with back gate, allowing you room to park an RV. New trim, paint, hot water tank, doors, fence, siding, shingles, lighting, hardware, light switches, subfloor, blinds... need I go on? Close to a park, school, trails, quick access to transit, shopping and more. All that and the best price in Belle Rive. Don't miss this fantastic opportunity. (NC) Long nights and chilly weather activate our instincts to hunker down and nest at home. Get inspired to make your space relaxed and inviting and make the most of the season with these helpful tips and ideas. For warmth. Is there anything better than curling up with a good book and comfy duvet as the snow falls gently outside? For a soft and warm cover, consider one with a down filling. Down is the warmest available; it’s a natural fill that has the ability to reloft and mould itself to your body for continuous warmth and comfort. It’s also great for your bedroom pillow and in a jacket for when you do decide to brave the cold. Avoid buying down fibre, an inferior product that lacks insulation. To make sure you’re getting a quality product, look for the Downmark certification label, a globally recognized and trusted quality certification symbol for Canadian-made down and feather filled products. The label assures items are genuine and have been finished in Canada according to strict standards. For décor. When looking for accent and decorative pieces, look for elements that evoke that cozy log cabin aesthetic. Think rich textures, plush neutrals and wooden accents. When layering a variety of throws, consider down and feather that will make the space feel warm and relaxed.. Add some winter whites with flowers and vases, and consider gold accents for a funky pop of colour that’s trendy and fresh. For lighting. Fight the winter blues with plenty of lamps and candles. Create a comforting ambiance with a mix of overhead, floor and task lighting, which also gives you the flexibility to find the perfect brightness. Candles can add both warmth and light, giving your home a calm and lived-in feeling. Choose scented candles with your favourite aromas to remind you of yummy sweet treats or take you back to sunny summer day. Curious about quality down and feather products? Learn more at downmark.org. I have listed a new property at 114 11816 22 AVE SW in Edmonton. Welcome to this spacious, clean, move-in-ready and AFFORDABLE condo located in Edmonton's desireable Rutherford neighbourhood. A bright, OPEN FLOORPLAN allows plenty of room for living, dining and kitchen space as well as additional nook, perfect for an office or other flex space. Two bedrooms and two full bathrooms, including an ENSUITE OFF THE MASTER bedroom with walk-through closet. The kitchen features GRANITE COUNTERTOPS with breakfast bar, plenty of cabinet space and all-black appliances including built-in dishwasher and microwave hood fan. Sliding patio doors open to the large, COVERED, CONCRETE PATIO. IN-SUITE LAUNDRY. Enjoy the convenience of HEATED, UNDERGROUND PARKING and lots of outdoor visitor parking for your guests. You're a quick 3-minute walk to Shoppers Drug Mart and Superstore as well as other shopping and restaurants. You're also just a short drive to the QE II and Henday, giving you fast access to the airport, South Edmonton Common and so much more. Don't miss this great opportunity. I have listed a new property at 4 HEATHERLANDS WAY in Spruce Grove. Welcome to this beautiful Lincolnberg-built home nestled in desireable Heatherglen. From the front veranda, walk into a spacious open-concept living space. Low-maintenance laminate floors extend throughout the entire home. The living room is warm and bright, featuring a south-facing picture window to let in plenty of light. The dining room allows access to the back yard through the convenient patio door. The kitchen boasts a massive pantry, plenty of cupboard space and a trendy butcher block island. Also located on the main floor, you'll find an impressive master bedroom, a second bedroom and a full bathroom. Downstairs, gather around the cozy gas fireplace in the massive family/rec room. Plentiful storage, additional bedroom, second full bathroom and laundry/utility room are also found here. Outside, a large, nicely landscaped back yard is tough to find, but here you have space to enjoy plus the convenience of a garage and extra parking back and front. Don't miss this lovely, yet affordordable home. I have listed a new property at 224 12408 15 AVE in Edmonton. Surrounded by natural trails and the easy location found in West Rutherford, this AIR CONDITIONED, 2 BDRM + DEN with over 1100 SQ FT offers everything you have been looking for! WIDE PLANK laminate greets you as you step inside. Notice the soaring 9 ft ceilings. The kitchen with extra cabinetry and pantry is an entertainer's dream! Stylish GRANITE counters are perfect for preparing while your guests relax around the LARGE ISLAND. Enjoy time by the FIREPLACE in the living room, plus the DEN offers space for an OFFICE or separate dining. FRENCH DOORS lead outside to the COVERED BALCONY ready for rain or shine! The private master bedroom has a large WALK IN CLOSET & ENSUITE. The second bedroom is found on the opposite end and has access to a 4-pc bath. TITLED U/G PARKING also features a DRYWALLED STORAGE ROOM. Just a few blocks away, notice the NEW SOUTH LRT PARK AND RIDE that is currently underway! Make your move to this WELL MANAGED and QUALITY UPGRADED 18+ adult building with every amenity and comfort! I have listed a new property at 224 2503 Hanna CRES in Edmonton. Welcome to this gorgeous, Carrington-built, 2-bedroom/2-bathroom home. Walking in, you'll immediately notice the bright, open, floorplan. There is no lack of space here, including room for a full size dinette set. The kitchen has plenty of cabinet and counter space including a large pantry, black appliances and an island with seating room. Gleaming hardwood floors stretch through the dining and living room. Cozy up to a corner gas fireplace or enjoy a morning coffee or BBQ on the deck. The master bedroom is spacious enough for a king bed and extra furniture, yet still has a massive walk-through closet. The full ensuite is complete with his and hers sinks. A second bedroom, washroom, large laudry room with full-size washer/dryer and A/C complete the suite. Enjoy the convenience of heated underground parking and an extra storage locker. And this building is packed with amenities including a gym, car wash, movie room, games, room, social room and rentable guest suites. Don't miss this fantastic opportunity. (NC) As the change in weather has us retreating indoors, take some time to spruce up your interiors with these design ideas. Play with paint. One of the most budget-friendly ways to change up a space is with paint. You can use it to refresh antique or dated furniture, or you can create a whole new ambiance with a new wall colour. For the cooler months, try dark, nearly black walls to add depth to a room. Keep it warm and inviting with lighter furnishings and décor; the deep shade will accentuate their silhouettes for a striking finish. Re-theme a room. Whether it’s your bedroom, kitchen or living room, switching up the style of a room can dramatically improve the overall look and feel. 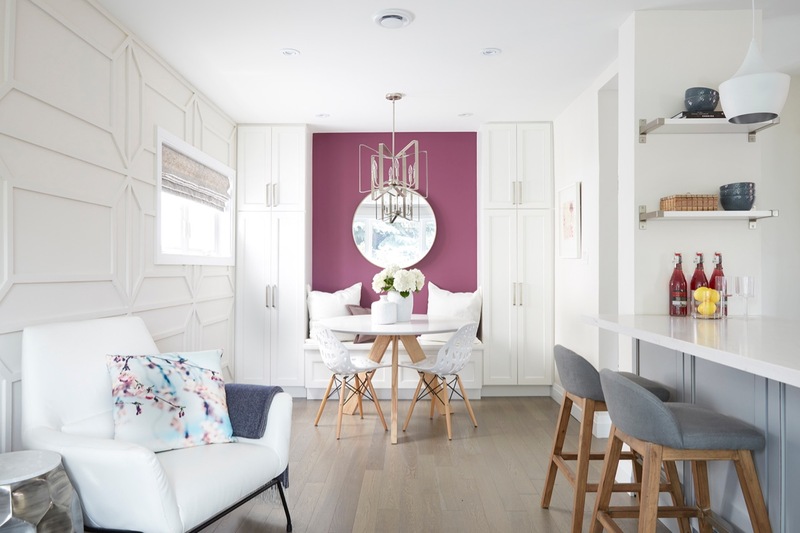 Try a new colour palette, or a different aesthetic like rustic, contemporary or cottage to create a renewed environment. For an affordable makeover, focus on smaller but impactful elements like textures, accents, furniture and décor. Frame your view. Transform a boring basic window with gorgeous shades that do more than add style and polish. 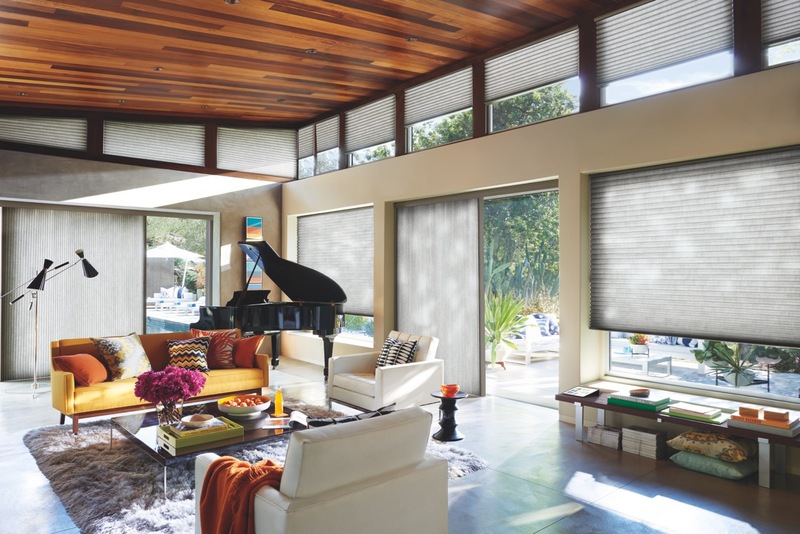 Hunter Douglas’ innovative custom window treatments offer light control for the perfect amount of natural sunlight, elegant performance fabrics for energy efficiency and UV protection, and intelligent shade operating systems for convenient smart home integration. Purposeful, polished window coverings give any room a finished look. Organize chaos. Improving your home’s organization can make your entire living space feel fresh and welcoming. So take some time to clear out the clutter and use drawer and closet organizers to find an out-of-sight place for every trinket. If you have a small space, choose smart storage solutions that work double duty. And don’t forget your entryway. As the first impression of your home, it’s essential to keep neat and tidy. Use a coat rack and bench that doubles as shoe storage for an organized and seamless appearance. (NC) Looking to update your home but don’t have the time or money for a full-on renovation? Not a problem. With the right application of paint, you can breathe new life into your home, inside and out. Reimagine your space. One of the easiest ways to add personality is to refresh the walls by adding bold and contemporary colours. Try highlighting a focal point or niche with a fresh pop of colour, or paint an accent wall to command the eye’s attention. Make a statement in your bathroom. People generally limit the amount of time they spend in their bathrooms. But what if you could make it a room you actually want to spend time in? With a coat of paint in just the right colour, anything is possible. Turn your bathroom into a statement room with a dark shade. Forgoing the usual neutral finish, this bold approach catches the eye and can create a sense of class and drama. Revitalize tired cabinets and furniture. Bring old cabinets and furniture back to life with a fresh coat of paint. Choose a colour theme that complements the rest of your home or room. You can accentuate little details, hide imperfections and create great conversation pieces. I recommend using Para Paints Ultra melamine hybrid cabinet and furniture paint in a neutral colour that complements your style. Captivate with a stylish doorway. The front door is the focal point of your home’s exterior, so you want it to look as good as possible. If yours is looking a little tired and a new one isn’t in the budget, a coat of paint is a terrific option. A brighter hue can add energy, while a more subdued one plays up a traditional feel. Top it off with some stylish hardware and accessories and you’re good to go. Update exterior trim and accents. There’s a connection between outer upkeep and what a visitor can expect inside. Painting your exterior windows, trim and shutters with the right colour palette can greatly boost your home’s curb appeal and make it more inviting for you and your visitors. Experiment with colour to create a playful welcoming effect or opt for a more subtle palette to create a formal or classic look. Remember, first impressions matter. I have listed a new property at 4805 55 AVE in Stony Plain. Welcome to this updated bungalow home with a warm, inviting layout. Upon walking in, you'll find the living area bright and open with a spacious kitchen, living room and dining space. All windows have been upgraded and modern laminate floors extend through the main floor including the three bedrooms and full bathroom. Downstairs, the basement is also fully finished with two more bedrooms, another full bathroom and a large entertainment/rec room area with carpeted floors and a unique, classy bar table. Outside, a newer deck looks out over the massive fenced back yard. There's a spot here to park your RV while barely making a dent in available yard space. All this plus a new furnace in 2015, an attached garage, newer kitchen, central A/C and more. Centrally located in the growing community of Stony Plain within walking distance of playgrounds and the elementary/junior high school. Don't miss this opportunity. 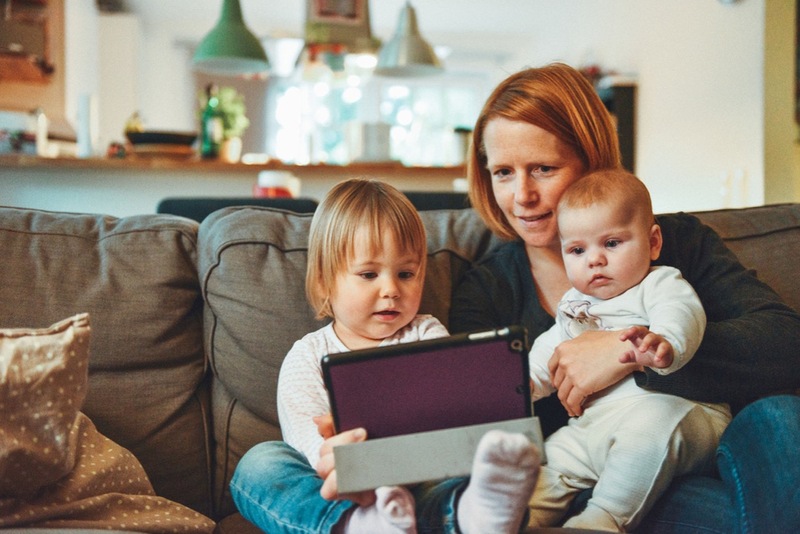 (NC) Whether you’re building a home from scratch or replacing the roof of an existing home, it’s important to consider the range of materials available and build a budget based on your needs. With a variety of styles and colours to choose from, you can easily find a look to match your home at an affordable price. How long will the roof last? The climate you live in is one of the most important factors here. When selecting roofing materials, choose one with better durability to withstand mother nature. Does the type of roofing complement the style of your home? Bring your personal style to the exterior with a wide range of roof colours, looks and architectural shapes. The appearance of a roof can dramatically affect the look of your home, so it’s important that the material be suitable to its aesthetic. Is this roofing material within my budget? The cost of a new roof can vary drastically depending on the type of material and cost of installation. An asphalt roof is the most commonly used. It’s also the least expensive and requires minimal installation. 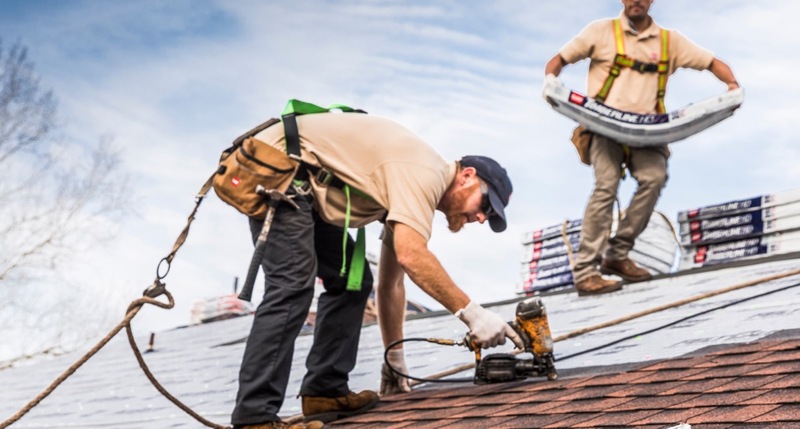 The complexity, height and steepness of your roof can also affect the installation costs. Find more information online at homedepot.ca. (NC) Sometimes you want to create a major change in your home, but don’t want to shell out for an expensive renovation. Fortunately, you can use these tips to makeover any space. Kitchen. Instantly make this room look sophisticated and transformed with a new backsplash. Since it’s a relatively small surface area, you can splurge on more luxurious tiles to create the aesthetic of your dreams, whether it’s sleek and modern or rustic and country. Finish off the room by swapping out cabinet hardware for a fresh and polished look. Living room. The right window coverings can add value, style and ambiance to your main living area. Frame the space with custom-designed window treatments from Hunter Douglas that let you choose the perfect fabric, size and style, whether you have patio or sliding glass doors or a bay window. 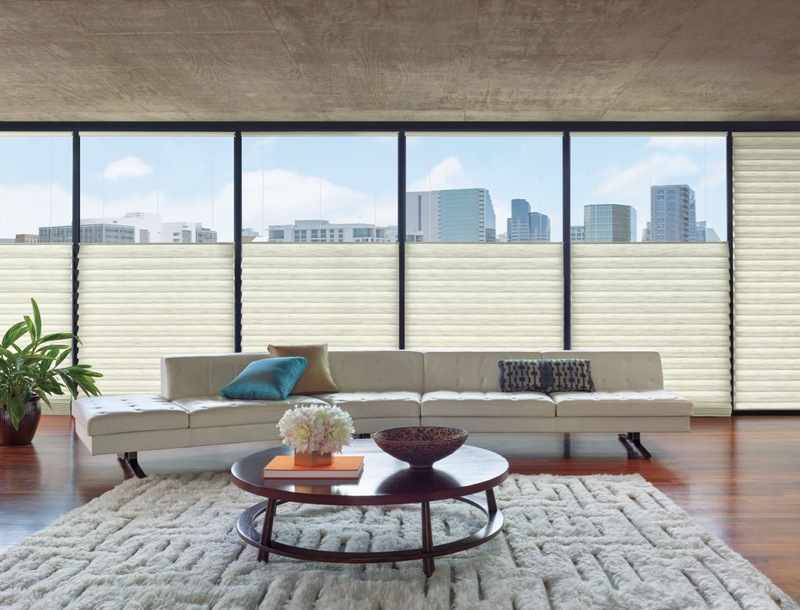 Their shades offer both natural light and privacy, as well as energy efficiency and smart-home operating systems that move the shades automatically to their perfect positions throughout the day. Bedroom. Switching up the bed linens can have a major effect on the mood in your bedroom, whether you want to go for chic and cheerful or eclectic and bohemian. 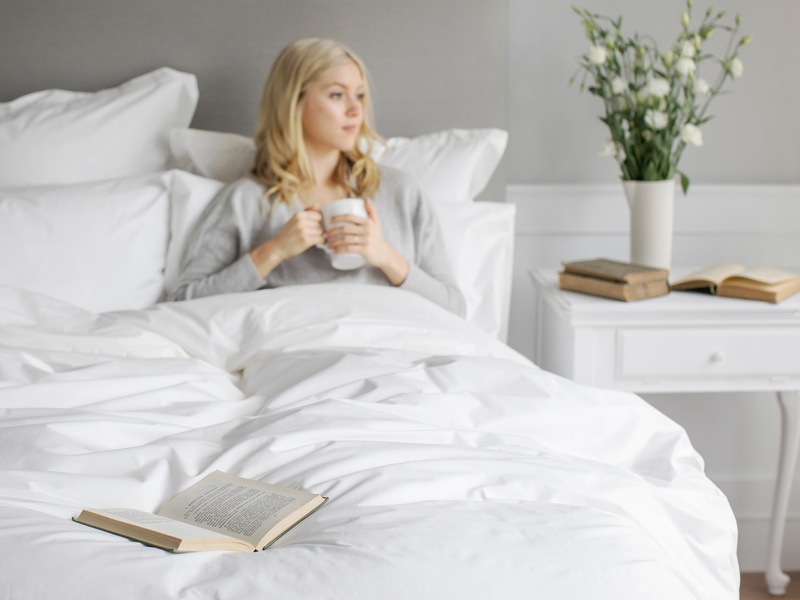 Just be careful not to be too matchy-matchy with your comforter, sheets and pillows — it screams bed in a bag, which lacks style and personality. Instead, add your own flair with a variety of colours and patterns for space that is unique to you. Bathroom. It’s wise to keep plumbing where it is, as moving the location of your sink or tub can be a pricey move that isn’t worth the expense. For a more affordable makeover, focus on decorative elements that can give you that home-spa feel. Add a bold frame to the vanity mirror and invest in open storage shelves. Store personal items in drawers or textured baskets, and line shelves with plush towels, candles and live greenery for a lush, comforting ambience. I have listed a new property at 1081 BARNES WAY in Edmonton. Welcome to this gorgeous home on a quiet street in desireable Blackmud Creek. Upon entering, you'll notice the bright, open feel of this home with vaulted ceiling, plenty of windows, art niches and display ledges. The living room features a cozy gas fireplace surrounded by windows. The spacious dining room offers access to the two-tiered deck looking over the large yard. The kitchen comes complete with stainless steel appliances and plenty of cupboards and counters as well as a corner pantry. This floor also offers two bedrooms and a full bathroom along with main floor laundry. Upstairs, is the master suite with his and hers closets, a massive ensuite with separate soaker tub and shower as well as vanity. And just off the top of the stairs, unwind with a good book in the unique loft nook. The basement is also fully finished with family room, theatre/den, 4th bedroom and extra access to the attached garage. Upgraded furnace, hot water tank, A/C and so much more. Don't miss this fantastic opportunity. I have listed a new property at 107 12050 17 AVE in Edmonton. Welcome to this lovely home at The Solaris in the quiet neighbourhood of Rutherford. Up the stairs from the spacious entrance, you walk into the bright, open main floor with living room, kitchen and dining room. The kitchen features a large island and there is a spacious dining area with access to the first of two balconies. There is also a handy 2-piece washroom on this level. Upstairs, you will find 3 good-sized bedrooms including the master bedroom with 4-piece ensuite and walk-in closet. Enjoy the convenience of upstairs laundry. Spend time outdoors on the unique, private, covered balcony also located on this floor. Stay warm in the winter with an attached garage. And the basement gives you plenty of extra storage space. This fabulous home is located near some of the city's newest schools, parks, shopping and great restaurants. Plus, there is easy access to public transportation and the Henday. Don't miss this great opportunity! Please visit our Open House at 81 Aspenglen PL in Spruce Grove. You won't find another home this new with this much finished space at this price anywhere else in Spruce Grove. This Pacesetter home sits on a quiet street in the family-friendly community of Aspen Glen, close to parks, playground and schools. Bright, open floorplan with large kitchen including island, plenty of cabinet and counter space and a corner pantry. The dining room has room for a large table and chairs, but there is even more seating available at the raised breakfast bar. The living room features an inviting gas fireplace and large windows look out over the private back yard and deck. A 2-pc guest bath and access to the double attached garage complete the main floor. Upstairs features new carpet throughout. The master bedroom includes a walk-in closet and full ensuite and there are two more bedrooms and a second full bathroom for the rest of the family. Downstairs is fully-finished, too, with an large, open rec room/family area. Plenty of room for the whole family. Don't miss this opportunity. I have listed a new property at 610 9918 101 ST in Edmonton. Welcome to Renaissance Place and this nicely updated, 6th floor suite with a gorgeous river valley view. The kitchen has been opened up to give a more spacious feel with bright white cabinetry and inset glass panels. There's even a high-end Bosch dishwasher. Engineered hardwood throughout the main living area. Large windows let in plenty of light. An absolutely massive 27' x 8' balcony with access from both the living room and directly from the bedroom. And this building is nicely maintained and loaded with amenities, including: a large indoor swimming pool and hot tub with floor-to-ceiling windows looking out to the city and river valley; well-equipped gym; sauna and change rooms; a rec room with pool table; an outdoor patio area. There is even a guest suite available for when friends/relatives come for a visit. All of this as well as a convenient heated underground parking stall. Don't miss this great opportunity. You won't find another home this new with this much finished space at this price anywhere else in Spruce Grove. This Pacesetter home sits on a quiet street in the family-friendly community of Aspen Glen, close to parks, playground and schools. Bright, open floorplan with large kitchen including island, plenty of cabinet and counter space and a corner pantry. The dining room has room for a large table and chairs, but there is even more seating available at the raised breakfast bar. The living room features an inviting gas fireplace and large windows look out over the private back yard and deck. A 2-pc guest bath and access to the double attached garage complete the mail floor. Upstairs, you'll find 3 large bedrooms as well as a massive bonus/flex room. The master includes a walk-in closet and a full ensuite with his and hers sinks and there is a second full bathroom for the rest of the family. Downstairs is fully-finished, too, with an large, open rec room/family area. Plenty of room for the whole family. I have listed a new property at 4412 Miller DR in Onoway. Welcome to this fantastic warm and inviting home with space for your whole family. Upon entering, you'll immediately notice how bright and open the home is with soaring vaulted ceilings and large windows letting in plenty of light. The living room features hardwood floors and a stone archway leads you to the spacious dining room and kitchen with raised eating bar, corner pantry, stainless steel appliances and plenty of cabinet space. From here, you have access to the raised deck and massive yard (with a gate and room to store your travel trailer). Upstairs is the private master bedroom with room for a king size bed and plenty more furniture. There's a full ensuite and walk-in closet here. Your own little retreat. The main floor also features two additional bedrooms and another full bathroom. Downstairs the basement is fully finished with a large family/rec room, a 4th bedroom and 3rd full bathroom. With the convenience of a heated double attached garage and more, you won't want to miss this opportunity. I have listed a new property at 305 17003 67 AVE in Edmonton. Welcome to this great, 3rd floor, apartment condo. The living room features a cozy fireplace and sliding glass doors to the large west-facing balcony. The fully-equipped kitchen opens to the living room with a raised eating bar and a full dining room space. The spacious master bedroom has a walk-through closet to the 4-piece ensuite. There's also a spacious second bedroom and second full bath. Ceramic tile flooring in the front entry, kitchen, laundry room and both bathrooms. Large storage room contains the in-suite laundry. This well-maintained complex, built in 2004, keeps you close to amenities including public transit, schools, parks, rec centre, grocery, banks, restaurants and much more. A well-lit parkade helps ensure safety.